Cold Gold 2 has nine stories and an epilogue. The first story (Teddy from then to when) is about my hero Teddy, and gives a brief outline of his life up to when he puts together his team of abalone poachers. The second story (Whale of a tale) introduces two ‘down and outs’ Louie and Gazza. They’re also poachers, and they set an illegal net and a young whale swims into it and becomes entangled. The third story (Teddy and the Japanese submarine) is about two Japanese brothers trying to find out if their father died a hero or not and they enlist Teddy and his crew to help locate the submarine. I go on to introduce two lesbians who run a coffee shop/plant nursery. The fourth story (The chase) sees Detective Jack and Karl trying to track down Jack’s runaway wife and also sees Tiny the huge security guard fall in love with Leckie, Deans partner. The fifth storey (New Zealand Star Bank) is about Barry falling in love with Detective Jack’s wife and giving her a job working on his boat. He talks Teddy into diving on the extremely dangerous New Zealand Star Bank. The sixth storey (The two Tom’s) is about Tom’s father squaring up for Sandy being raped by the two loan sharks. The seventh story ( Muddy hits a snag) is about when the Bikie gang try to stand over Olivia and her lesbian partner. The eighth story (Henry and the silver eagle) is about Henry’s parents’ restaurant being stood over by a gang of Vietnamese gangsters. The ninth story (Karl and his missing mate) is all about Karl trying to find out what happened to Detective Jack. Then there’s the epilogue, hopefully this ties everything up and prepares the reader to look forward to Cold Gold 3. 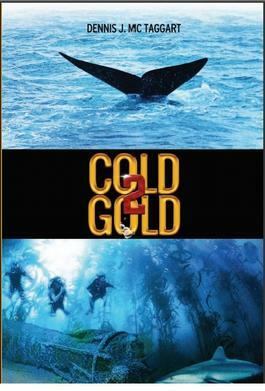 Be the first person to tell us what you think about Cold Gold 2 and you'll save $5 on your next purchase!